A vigorous but compact, evergreen climber with dark-green leaves narrowly edged in pale yellow. Strongly fragrant pale-yellow flowers, tinged pink on the outside, appear from early summer to autumn. Glossy black fruit appear later, and are much loved by birds. 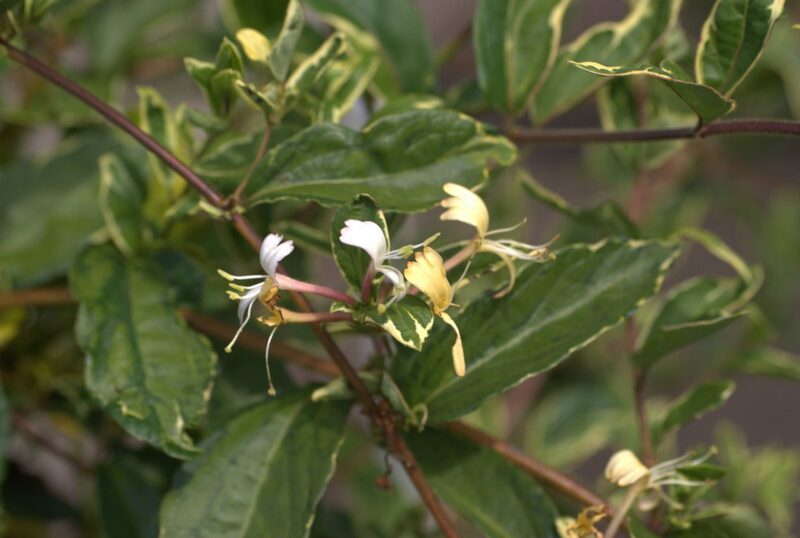 This honeysuckle enjoys sun or part shade, and makes a colourful feature trained up a trellis or cascading over walls and fences. A lovely plant for a cottage garden. Loves rich, moist but well-drained soil. Mulch with compost in early spring. Princess Kate is named for Catherine, Duchess of Cambridge.